Earlier this week I started a draft of a soapbox post on healthy for the holidays. My ramblings got the best of me, and, well, it remains a draft. The gist, simply, was where in the holiday meal to concede to caloric bombs in all their glory, and where to try and make healthy substitutions your friends and family won’t groan over (do not use silken tofu for creamed spinach. Just don’t). 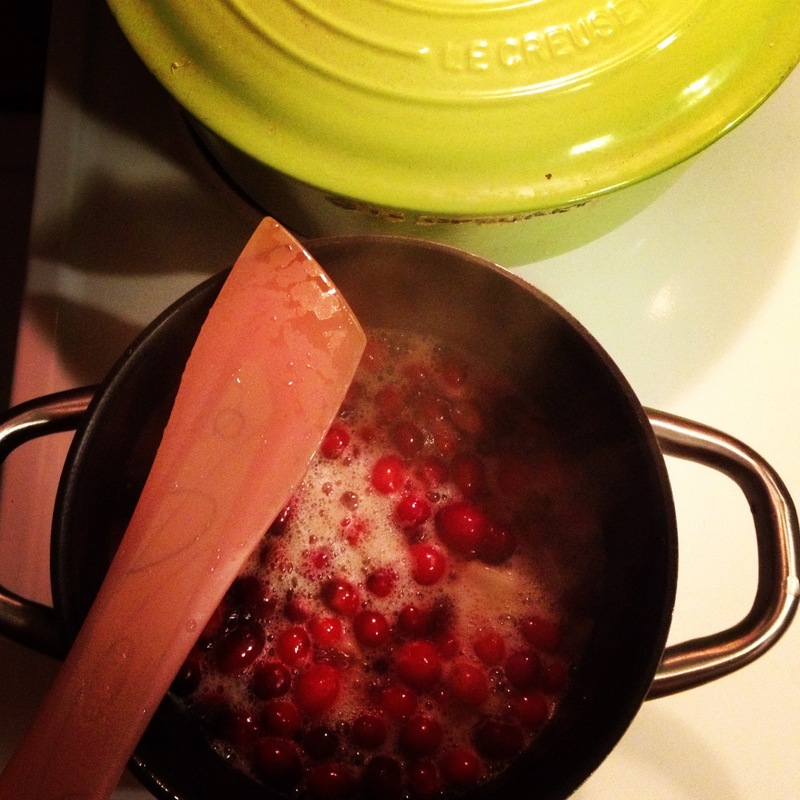 Cranberry sauce is one of my favorite holiday sides. The bright color and acidity cleans the palate between bites of creamy mashed potatoes and cloying gravy. I’ve always made mine from scratch, but even the homemade kind is high in sugar. On their own, cranberries are both acidic and bitter, and desperately seeking sweet. While replacing the sugar all together may be a stretch, I’ve found a ripe Bartlett pear can help cut the amount in half. It does, however result in a saucier texture than a gel. Cranberries, like concord grapes and blueberries are one of the few native fruits to the US. One family farm near and dear to my heart is Vincent Cranberries. Tim and his wife Dani are the third generation to work the Vincent bogs. Like many small farmers, they’ve looked to creating a value added line with their products enabling them to drive a stronger profit from their business instead of selling to a middle man or co-op. Their expanded line included raw cranberries, dried cranberries and cranberry and fruit juices. Tim is so passionate and proud to carry on his family’s linage, you can’t help but feel pride in taking part in the process. Look for them in grocery stores around town. LEFTOVERS!! Just some of the ways I’d use up leftovers. 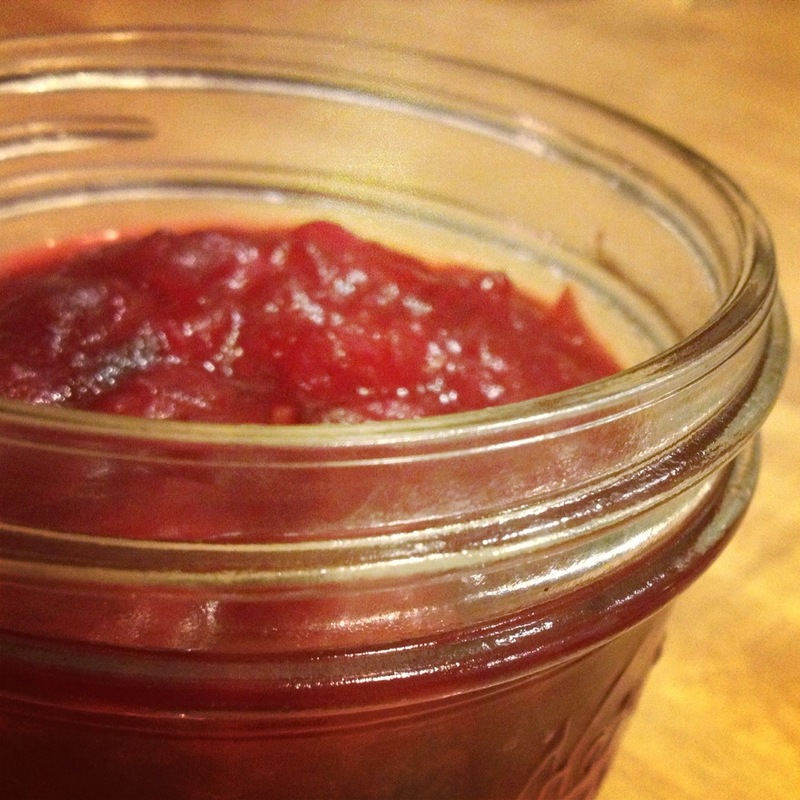 How do you expand the life of leftover cranberry sauce?